Recognizing that visitors are social and that travel-bragging is a primary motivator for travel, modern destinations and tourism operators can improve promotion by designing “socialgenic” experiences. Social: That which includes a connection and an exchange between two or more people. Genic: That which produces or causes something. Social + Genic = Socialgenic: That which produces or causes a connection and an exchange between two or more people. Destinations that provide experiences and infrastructure that include social sharing at the core create a win-win scenario for both guests and hosts. Think of it as social symbiosis. By participating in a socialgenic experience, visitors benefit immediately through fun, distraction and the benefit of the social status that comes from participating in unique experiences. As a result, they help increase awareness of a destination or experience among their peers. Today, these experiences are often shared through digital media and social networks, however they can also spread through old-fashioned word of mouth, email promotion or a postcard. Both digital and physical assets can play a role in maximizing peer-to-peer promotion. No matter which tools visitors use to share, User Generated Branding (user-generated content that in some way also includes your brand or destination name, for example the “I amsterdam” sign located outside of Schiphol or in Museumplein) is what makes a social media exchange valuable for promotion. While a thousand pictures of a beautiful sculpture can drive interest in art, if no one knows where they can see the masterpiece for themselves, destinations and businesses will not benefit from the exposure. 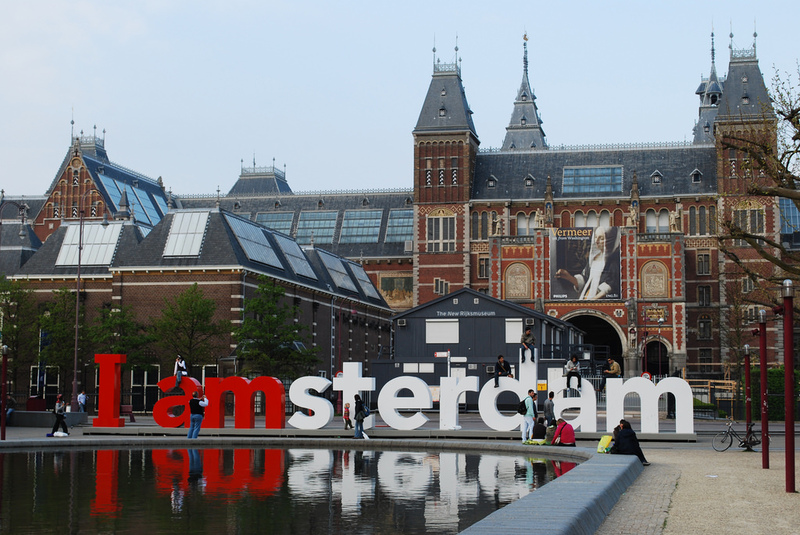 Amsterdam’s “I amsterdam” sign is a strong example of User Generated Branding in action. While an awe-inspiring view will always prompt user-generated content, not every destination can be the Grand Canyon. Unless you have a few eons of erosion on your side, have a look at the following case study to explore the tactics you can use today to make your destination and its experiences more socialgenic. Sharing the activity equals participating in the activity. When an experience plays out on the canvas of a guest’s social media feeds, peers are alerted of an experience every time someone engages in it. Guests are already remarking on the activity. Consider the visitor journey to identify when guests have the motivation and opportunity to connect with others. For Wheelhouse Brewing Company, the natural place to start was with guests remarking on the authentic nautical flags hanging over the bar. The experience leverages existing infrastructure to keep costs down. At Wheelhouse, the signalling flags were already in place. To make the experience socialgenic, the brewery simply needed to provide a bit of branding and a layer of context and communication. Branding is “baked in.” Physically including names or logos on essential parts of the experience ensures that participation results in User Generated Branding with no effort needed from the participant. In this example, the Wheelhouse Brewing Company logo was tactically placed under the flag for the letter “B,” a letter essential for spelling “BEER.” The best socialgenic experiences are the ones that, like the Ronco Rotisserie oven, you can “set it and forget it,” because they deliver every time. Gamifying the experience lets the guest do or create something, not just document or consume something. According to Wikipedia, “gamification is the application of game-design elements and game principles in non-game context […] in attempts to improve user engagement.” One reason games are so engaging is that they let individuals express themselves and affect outcomes within a defined framework. While the most obvious “Message in a Brewery” is to send the word “BEER,” motivated participants have all the tools they need to propose marriage or quote Shakespeare. The activity is “future proof.” An effective socialgenic experience will generate conversation and awareness that will remain relevant no matter how people choose to share in the future – be it through Snapchat, Facebook Live videos, or a social sharing tool that has yet to be invented. The experience is inherently fun, cool, or interesting for the participant. The activity needs to provide enough value to prompt participation on its own, outside of further incentives like prizes or prestige. At Wheelhouse, the novel opportunity to send a cryptic message to a friend from the brewery at the edge of Canada was fun enough to get them clicking and posting. Your destination can better serve its visitors’ needs by helping them document and share their experiences in a clever and valuable way. As they do so, guests will help the destinations and operators they visit create stronger and more effective peer-to-peer promotion. In this way, creating a socialgenic experience for your visitors is a win-win proposition. Future articles will explore tools and tactics such as landmarks, rituals, infrastructure and mementos that are available to destinations and their tourism industry partners who seek to serve their guests with socialgenic experiences that turn them into your best marketers.